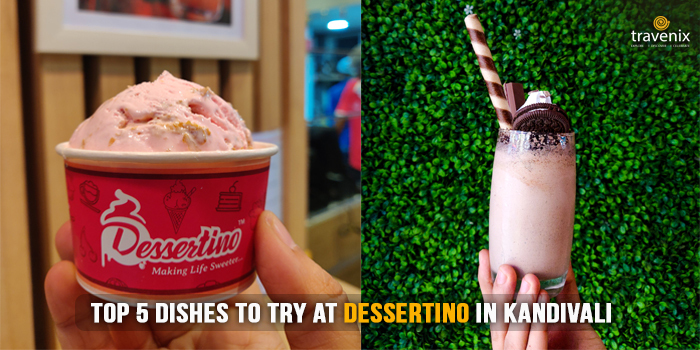 Dessertino is the latest outlet in Mahavir Nagar that brings to you the finest of thick shakes, milkshakes, and ice creams! This particular place is known for its fantastic desserts in Gujarat and has now entered Mumbai to bring to you the best of it all! 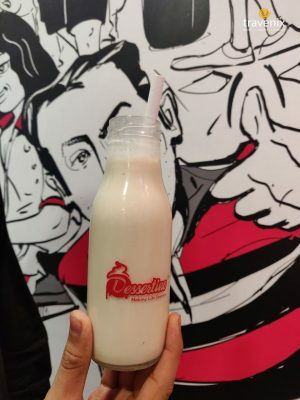 With the year 2019, Dessertino has come up with Shake 2019. 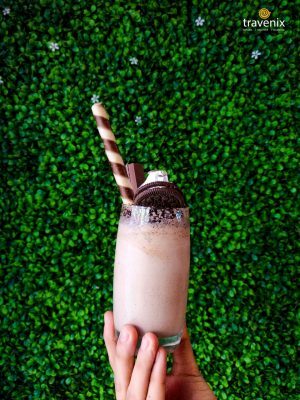 This thick shake is the stuff of legends and is the dream of every chocolate lover. It’s a chocolate thick shake with brownie crumbles along with Oreo, chocolate pipes, whipped cream, and Kit Kat as toppings. One glass full of this and you’ll be done with your meals! For all the dry fruits lovers out there, especially pistachio lovers, this pista thick shake is indeed a dream come true. 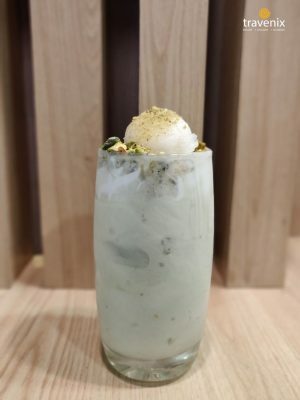 The thick shake has a very prominent flavor of pista and is topped with loads of pista crumbles and to top it all off, there’s a generous serving of Rasgulla! If you’re a person who loves to have chocolate and caramel, this particular milkshake is for you. While it isn’t as thick as the other shakes, this milkshake will have you wanting a glass more! This creamy ice cream treat is for all those who love roses. 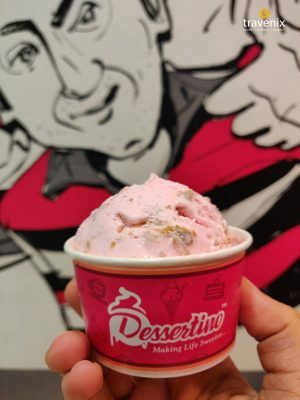 The ice cream has a very strong flavor of rose and you can get rose petals in every single bite. To give it a slightly crunchy element, the ice cream has cashew pieces added to it as well. Yet another dish for all the pistachio lovers out there, the waffles here are made freshly in front of you and then between two waffles, loads of pista paste is sandwiched. On this paste, pista pieces are added to give it an even more pistachio-filled flavor. 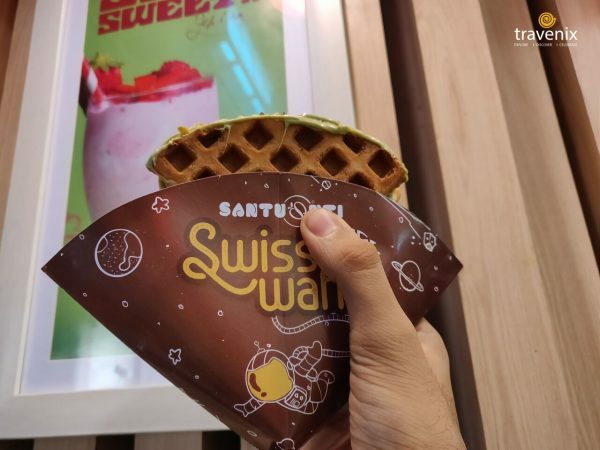 The waffles are both soft and warm and are a delight to eat!